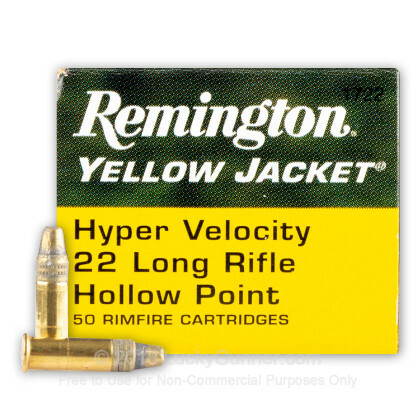 Remington's Yellow Jacket is an ideal load for hunting small game. 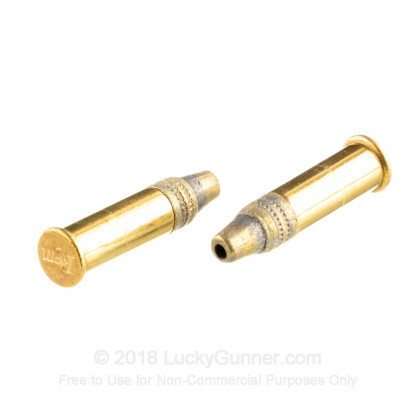 Featuring a muzzle velocity of 1500 FPS, this fast moving bullet with a hollow point tip delivers tremendous accuracy and expansion! 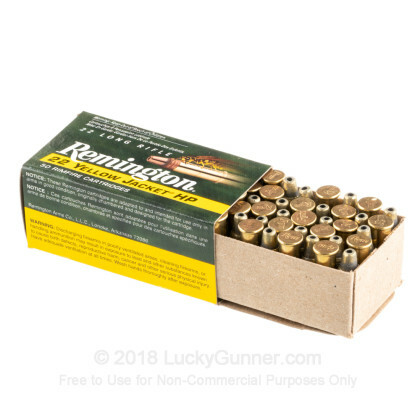 Manufactured by the legendary Remington Arms Company, this product is brand new, brass-cased, and non-corrosive. I fired several rounds through a vintage mossberg 46a rifle. I had no misfires. 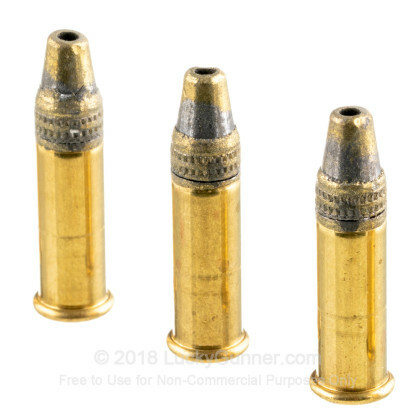 The rounds were accurate, and what else can you say about shooting a rifle that was given to your father on for his 12th Christmas in 1942 except fun. I have used this shell for many years. While I have tried, and will continue to try other similar products, this is the one I keep coming back to. I have been lucky enough to survive life on this planet for almost se3ven de3cades now. I'm not sure how many more years I will be able to enjoy hunting the way I enjoy, mainly alone. Well, myself and a good dog or two. I have raised and trained dogs most of my life. But anyway,, This is my choice of a 22 shell. even if am a little off on my shot, it expands so quickly, it will anchor what ever I hit. It is not quite as accurate as singers at the out limits of their range, but it will prevent anything you hit from running. At my age that counts for a lot. I want to find a squirrel or rabbit right where4 it fell, not have to track it for any distance3..lol.. So this is my ammo for small game;, always. I have used this product for squirrel and small game for many years. While I think cci's are a trifle more accurate at the outer ranges, This shell anchors what ever you hit, even if you are a little off. There is no lost game or worry of a suffering animal left to dy. These things just kind of explode on impact. Great speed. The most accurate round I've fired out of my marlin model 60. Have tried CCI and no thanks I'll stick to yellow jackets. My wifes preferred handgun currently is her .22, and although not my favorite for personal defense she is accurate and comfortable with it. I bought her 3 boxes of this ammo thinking it would be the best ammo I could get her for a defensive situation. They are rather accurate, even with a 2.25" barrel. They penetrated 3 one gallon water jugs at 7 yds. But the first round in the first magazine wouldnt fire (10rd mag). The rest of that magazine ran like a champ, but halfway through the second mag we had another failure to fire. After repeatedly dropping the hammer, I finally had her eject the round and continue firing the rest of the mag. 3rd mag went without issue, 4th mag another ftf after repeaded strikes. 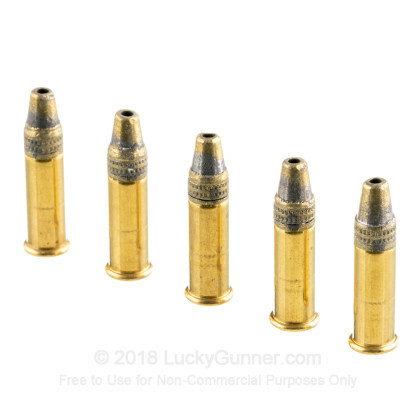 I checked all the brass, each had clear consistent strike marks on the rim so I'm very confident it wasnt the weapon, combined with having fired multiple boxes of other ammo (36 gr CPRN and 36gr CPHP CCI mini mag, Federal 40gr LRN, Fiocchi 40gr LRN) without a single issue. Considering its a defensive application, I dont feel comfortable having an average of 1 round per mag not fire. On the other hand the ones that do fire inflict alot of damage (small game from a Marlin mod. 60) and I feel would be good for defense if all of them actually went off. Very accurate round in my Marlin Model 925 bolt action. Velocity over a chronograph averaged 1365fps in my 22" barrel. Only down side is the trunicated cone bullet tends to hang up on the edge of my chamber making chambering a chore. First of all, this is great ammo that runs pretty hot at 1,500 ft per second plus. I used it in my Browning semi-auto 22 Rifle and it was right on the money. I was hitting coyotes at ranges between 50 and 75 yds and dropping them with authority thanks to the extra ummp in velocity and wide hollowoint cavity. Most of the rounds mushroomed perfectly in the coyotes. I was having problems with hot blazing 22 stinger ammunition out of my Smith & Wesson model 617 revolver with jams firing double action only. The stinger case is a tad longer than most 22's and the rim lip was getting caugh up on the chamber wall during rotation. 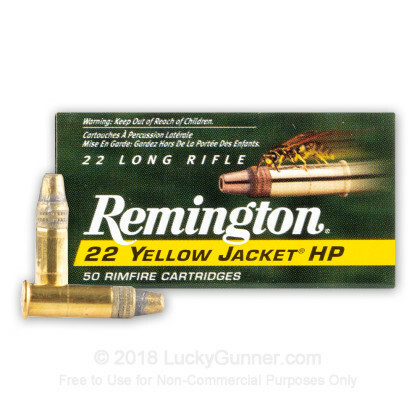 I switched to Yellow Jackets which run on average about a 100 ft per second slower than the stingers but the reliabilty and accuracy were amazing out of my 6 inch smith revolver printing 1 -1/2 inch groups at 25 yds at a blazing 1585 ft per second. This ammo can be used in a emergency for self defense dumping 170 lbs of energy on target in a pinch with reliable expansion. 60 to 75 lb coyotes dropped like a lightning bolt had struck them and stayed downed for the count. Great ammo two thumbs up !! I shot this out of a Mossberg Tac 22. The first 10 magazines (25 round) jammed every other round. It shot better later but still a lot of jams and misfires. I think I'll stick with the CCI. of all from .22 hp's tested , most powerful, bunot as accurate as cci;s.